"Let me be your star," said the 2018 Tony nominees! 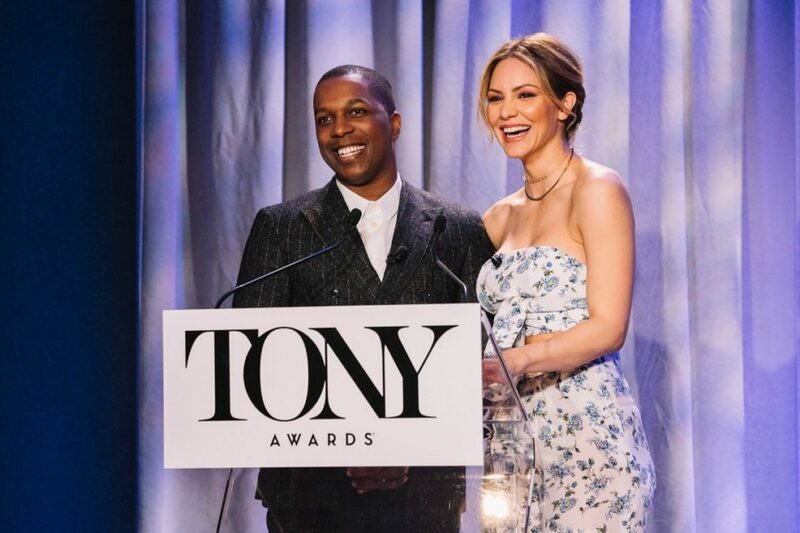 Smash alums Leslie Odom Jr. and Katharine McPhee woke up early on May 1 to get spiffed up, head to the Lincoln Center Library of the Performing Arts, announce the 2018 Tony nominations and give SpongeBob SquarePants—sorry, Spa-hnge-Bob SquarePants—a fancy, schmancy new pronunciation (it is a Tony-nominated musical, after all!). The Hamilton Tony winner and Waitress star spoke with Broadway.com about getting to reveal the big news. "For once in your life, you're a part of making somebody else's dream come true," said Odom Jr., who nabbed a nomination (and subsequent win) in 2016 for his performance as Aaron Burr in Hamilton. "I remember what it felt like, and this feels like a full-circle moment. A Tony nomination changes your life." "I love that we're together this morning. Leslie and I had a lot of great moments on the set of Smash," said McPhee. "It's great to wake up early for a community that I am so newly a part of, but that I respect so much." "Sam and Karen Cartwright would be very proud on a day like today," said Odom Jr. The Tony winner also shared advice for the 2018 nominees: "Enjoy every moment of this time. There are no guarantees that moments like this will come around. If it only happens once, and you do it right, only once is enough." Check out the photos, and we'll see you on June 10! Fade in on a girl! Katharine McPhee strikes a pose. 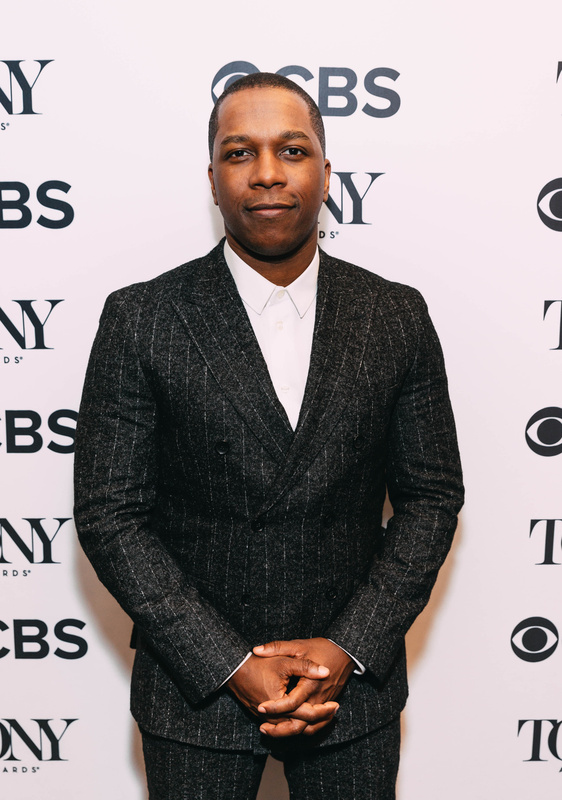 Leslie Odom Jr. suits up for Tony nomination morning. 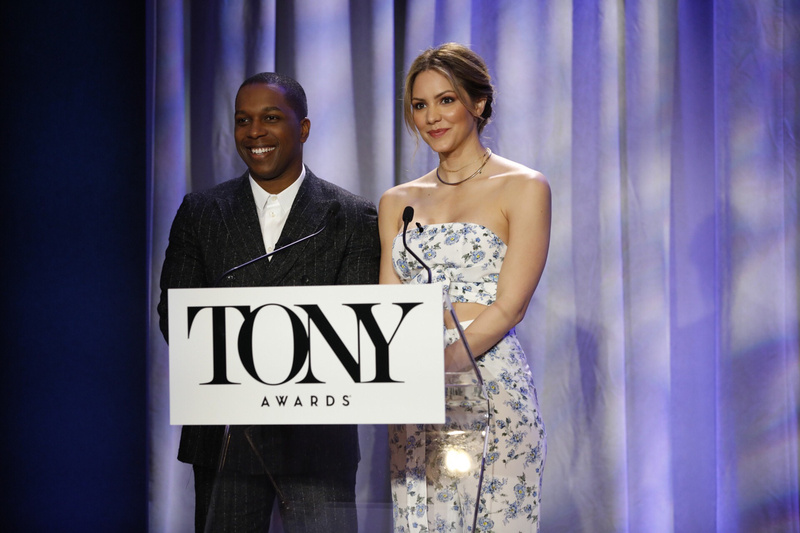 Leslie Odom Jr. and Katharine McPhee take the podium. Congrats to all of the 2018 Tony nominees!